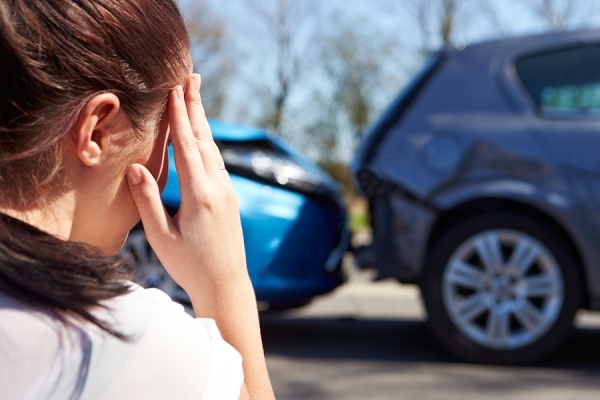 Are you Motor Accident Policy proof? Chapter 11 of The Motor Vehicles Act 1988 (the Act) requires (sec.146) insurance against third party risk for private motor vehicle owners and others in certain circumstances. Sec.147 of the Act also requires the mandatory coverage of such insurance policy against death or bodily injury to any person and/or damage to a third party’s property. A pecuniary limit of just Rs.6000 is however allowed by law only on policies against damage to third party property. Further, driving or causing or allowing to be driven an uninsured vehicle is also penal offence (Sec.196) with a possible three month imprisonment sentence and motor accident claims under the Act are adjudicated on by the Motor Accident Claims Tribunal (the MACT). Depending on the facts and circumstances of the accident, apart from compensation payable to the injured third party, the driver and/or owner etc. could also be liable for criminal prosecution under the Act and others (eg. the Indian Penal Code (IPC) 1860) that could bring substantial penal sentencing provisions of lengthy imprisonment and/or fines. After the issuance of a certificate of insurance in favour of the insured, the relevant insurance company (the Insurer) has a strict statutory obligation (Sec.149) to satisfy judgements and awards (such as passed by the MACT) against persons insured (the Insured) in respect of third party risks, this is despite the Insurer being entitled to avoid or cancel or having avoided or cancelled the policy. Sec.149(2)(b) (as discussed below) of the Act provides the only situation in which the Insurer can avoid such payments to third parties on behalf of the Insured. However this statutory obligation of the Insurer towards third parties is subject to the defence available under sec.149(2)(b) of the Act whereby the relevant policy is voided if proven to have been obtained by the Insured through non-disclosure of material fact or representation of fact false in material particular, as read with sec. 149(6) of the Act that defines “material fact” and “material particular” so as to define the scope of such terms. In general these include facts and particulars of such a nature that would influence the judgment of a prudent insurer in determining whether to undertake the risk and on what premium and conditions. Note: In view of the legal ground available above to Insurers to avoid third party liability and payments under an accident claim against you, it is therefore imperative that no such material fact is hidden or falsely represented. Furthermore the policy documents should be carefully scrutinised beforehand for applicable terms and conditions, especially those that seek to limit or remove the insurers liabilities and sums assured for death or injury to third parties and/or damage to their property in a motor accident. Pursuant to a policy condition prohibiting the relevant driver (named or otherwise) not duly licensed, or disqualified from holding or obtaining a driving license; etc. Despite any contractual protection as included in the terms and conditions of the relevant policy and the limited statutory defences available to the Insurer as against the Insured under the Act, the Insurer remains legally obligated to satisfy any judgement and award passed against the Insured in favour of third parties, subject only to sec.149(2)(b) of the Act (relevant policy voided through non-disclosure of material fact or representation of fact false in material particular). However, any such sums or excess sums (in case sums limited by insurance policy contract) so paid can be recovered from the Insured pursuant to sec.149(4) and (5) of the Act and under the contractual policy of Insurance subsequently. Except where liabiliy to compensate third party is avoided by the Insurer under sec.149(2)(b) of the Act (non-disclosure of material fact or representation of fact false in material particular), a breach of policy condition e.g., disqualification of driver or invalid driving licence of the driver, as contained in sec.149(2)(a)(ii) of the Act, have to be proved to have been committed by the insured for avoiding liability by the insurer. Mere absence, fake or invalid driving licence or disqualification of the driver for driving at the relevant time, are not in themselves defences available to the insurer against either the insured or the third parties. To avoid its liability towards insured, the insurer has to prove that the insured was guilty of negligence and failed to exercise reasonable care in the matter of fulfilling the condition of the policy regarding use of vehicles by duly licensed driver or one who was not disqualified to drive at the relevant time. The insurance companies are, however, with a view to avoid their liability must not only establish the available defence(s) raised in the said proceedings but must also establish ‘breach’ on the part of the owner of the vehicle; the burden of proof wherefor would be on them. Even where the insurer is able to prove breach on the part of the insured concerning the policy condition regarding holding of a valid licence by the driver or his qualification to drive during the relevant period, the insurer would not be allowed to avoid its liability towards insured unless the said breach or breaches on the condition of driving licence is/ are so fundamental as are found to have contributed to the cause of the accident. The question as to whether the owner has taken reasonable care to find out as to whether the driving licence produced by the driver, (a fake one or otherwise), does not fulfil the requirements of law or not will have to be determined in each case. If a vehicle at the time of accident was driven by a person having a learner’s licence, the insurance companies would be liable to satisfy the decree. Breach of policy condition has to be proved by the Insurer. If the Insurer is able to establish the willful breach of the terms of the policy, the Insurer can successfully avoid its liability towards the insured but it would have to satisfy the award vis-à-vis the third parties. The Motor Accidents Claims Tribunal (MACT) would be competent to decide not only the claims of the Claimants but the inter-se dispute between the Insurer and the insured and pass an award in the same proceedings. It is obvious that when the breach by the insured is not willful, the Insurer has an obligation to indemnify the insured. It is only in those cases where the Insurer has successfully proved the willful breach of the policy that the inter-se dispute between the insured and the Insurer is required to be decided by the Claims Tribunal. The onus to prove the defence raised by the insurance company remains on it. Furthermore, the insurance company with a view to avoid its liabilities is not only required to show that the conditions laid down under Section 149(2)(a) or (b) are satisfied but is further required to establish that there has been a breach on the part of the insured.